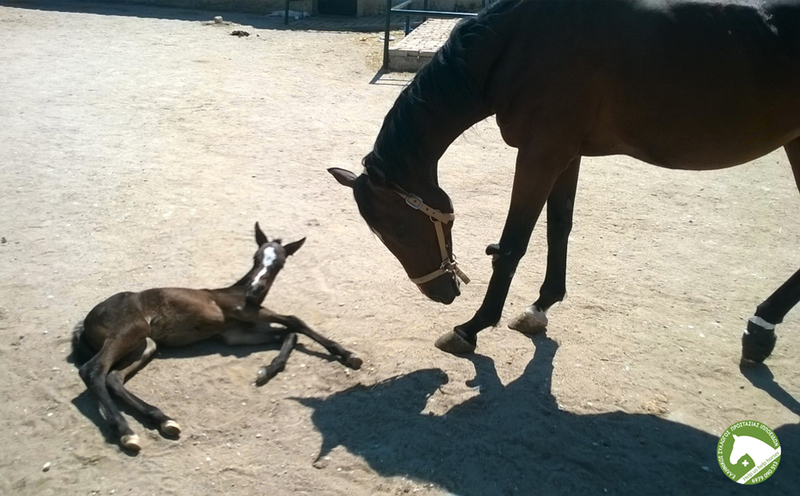 About four years ago, a man managed to trap Melissoula and remove her from her herd in Mount Aenos, Kefalonia. 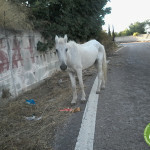 The same person who removed her managed to domesticate her along with two other male horses (one of them a stallion) and they formed their own herd living stray on the streets of the island. 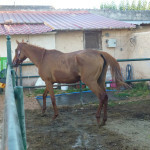 Stefi was found stray along with two other horses near the area of Mesogeion. The ropes with which she was tied were tangled in the grapevines trapping her. Exposed to the hot sun without food and water the animals suffered in silence. 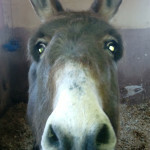 As soon as our volunteers found them they neighed joyfully as if they knew we were their saviours! 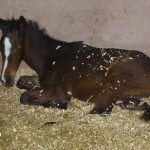 Their owner had disappeared leaving abandoning 15-20 dogs, as well as the horses. 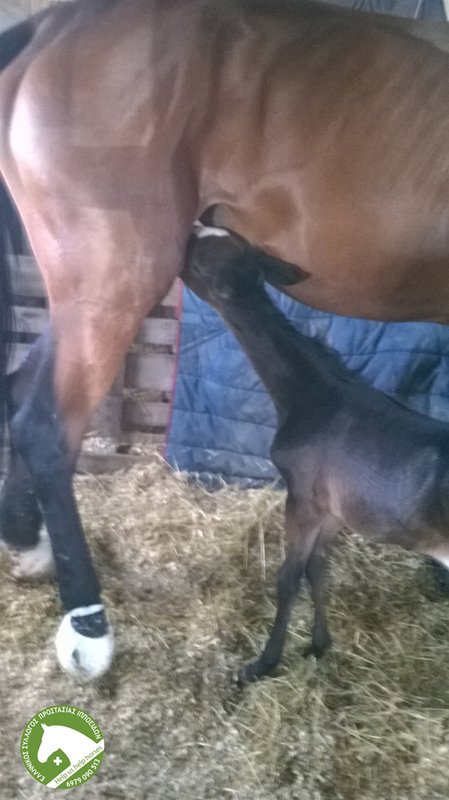 The case is in the hands of the law and fortunately all the animals are in good hands. 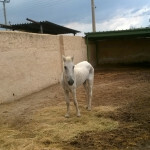 Stefi has a severe fracture in her hind leg, which hurts her at times. She is a friendly, proud animal full of life. 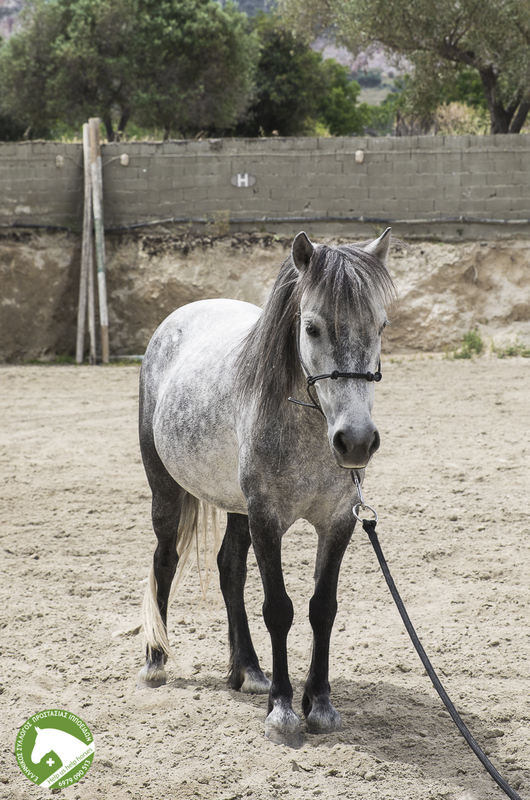 She cannot be used for riding or walking because of the wound in her hip. There are some people who manage to make a difference and help us believe that miracles can happen. 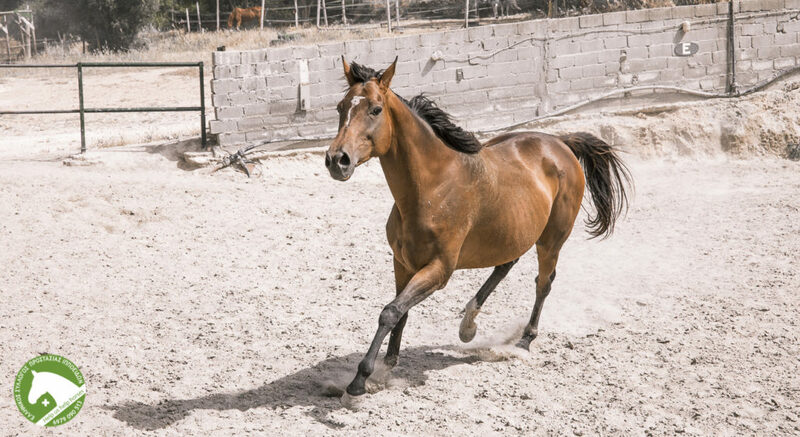 There are times when reality exceeds our wildest dreams and fills us with courage and gratitude, such as the story of Melina, a young and beautiful mare, who at only 14 years old got to experience the harsh side of life with humans. 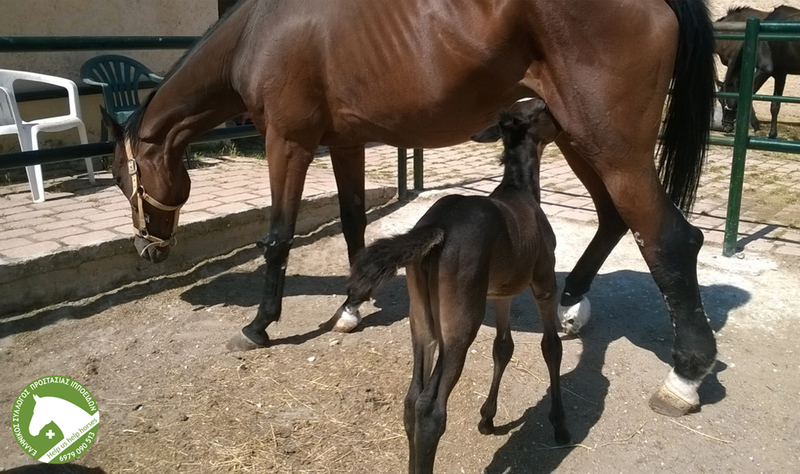 She never knew tenderness, respect and a calm environment, neither at the beginning of her career at the track, nor upon her transfer to Paros where her owner exposed her to repeated pregnancies, hunger, thirst and unnecessary hardship. But she waited patiently for a better life, a life worth living. 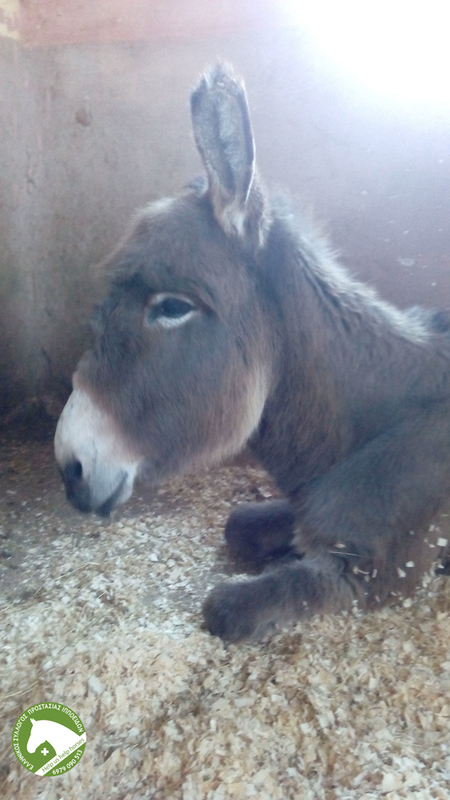 Estrella is a darling donkey of advanced years, who was fortunate enough to be found when wandering in the middle of Kalyvia Avenue close to the Olympic village. Although it was a cold, rainy Saturday night we moved quickly. Estrella was in immediate danger from passing drivers as she was indistinguishable in the night because of her small size and black hair. With inspired initiative, the people who found her used a bed sheet to guide her away from the road, called the Police and, setting their obligations aside, remained with her until they arrived. At the same a volunteer from ESPI had been notified, who came with a horse box to transport her safely to our facilities once proceedings with the police had been completed. 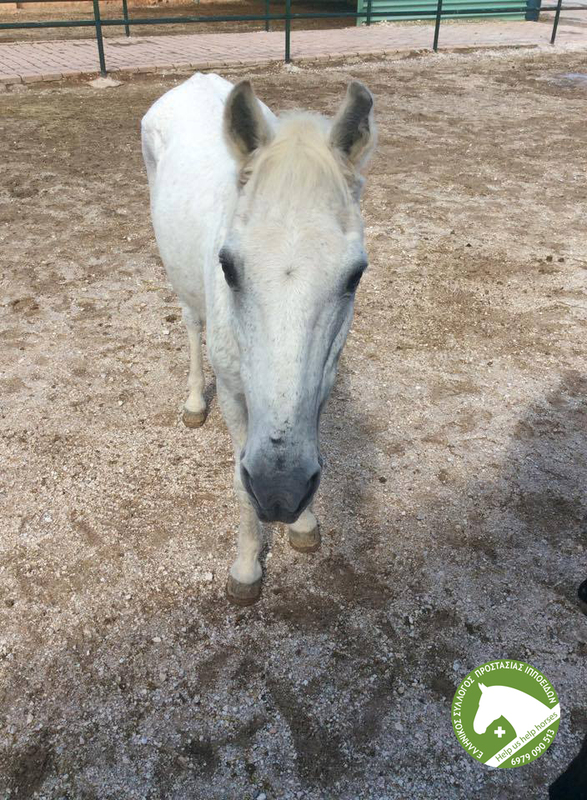 Tammy was transferred to our facilities in February 2017 along with Sandy*. 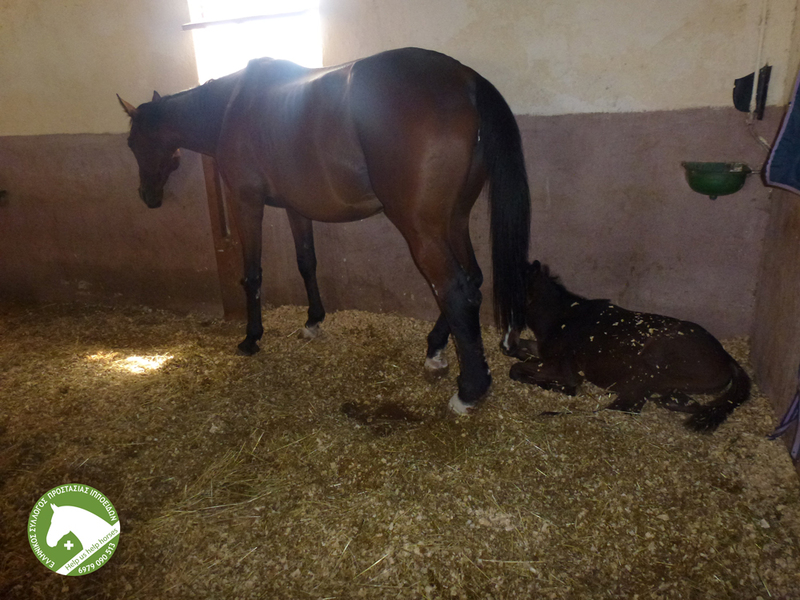 The two mares were spotted by a volunteer in Spata suffering from serious abuse and neglect. Their situation was critical and we moved quickly. 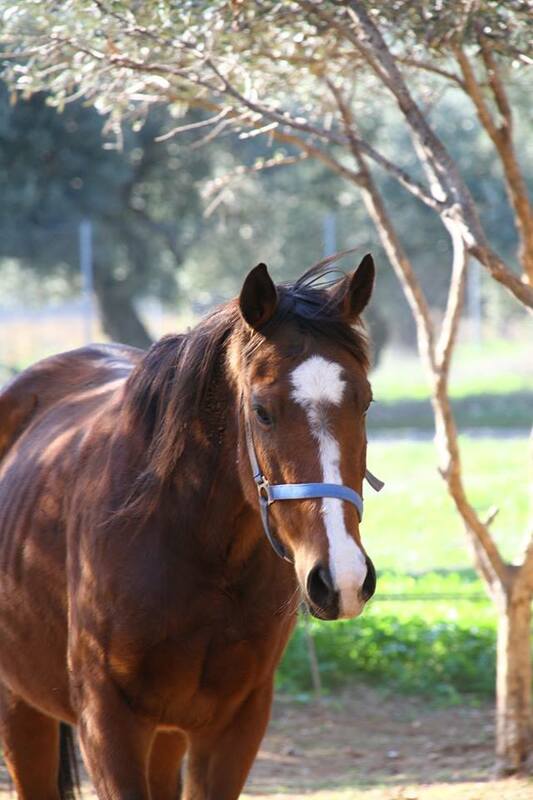 Eliza is a beautiful racing horse that was found in Aspropyrgos suffering from severe heat stroke and an extremely swollen hind leg. 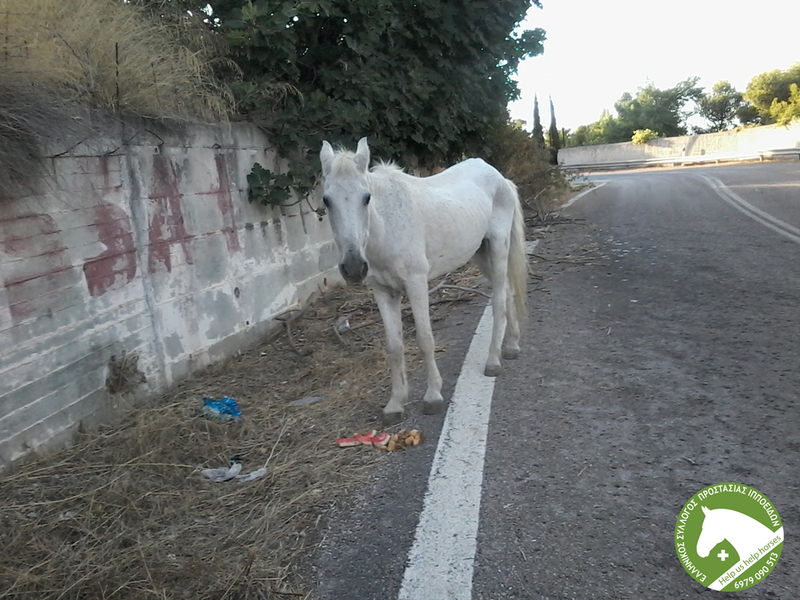 Following considerable effort, our volunteers managed to lift her and transport her to the shelter. 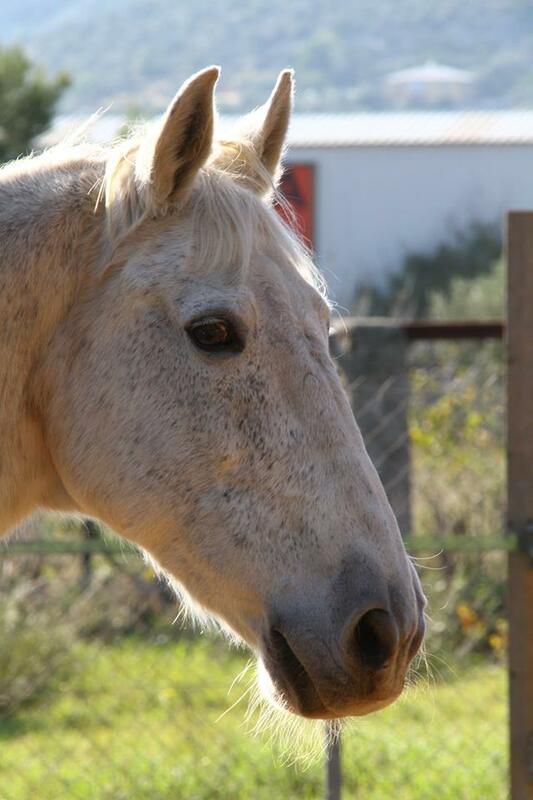 Without any prior knowledge of her medical history we began treating her symptoms. As time passed Eliza began to swell thus revealing her pregnancy! 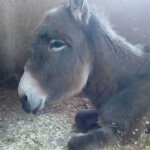 Unfortunately her foal, Rafael, was born prematurely and very small, but with the help of our volunteers she survived, growing and gaining in strength until she was adopted by a family on a beautiful estate who adore her. Eliza is at our shelter and enjoys the safety and care of our volunteers. 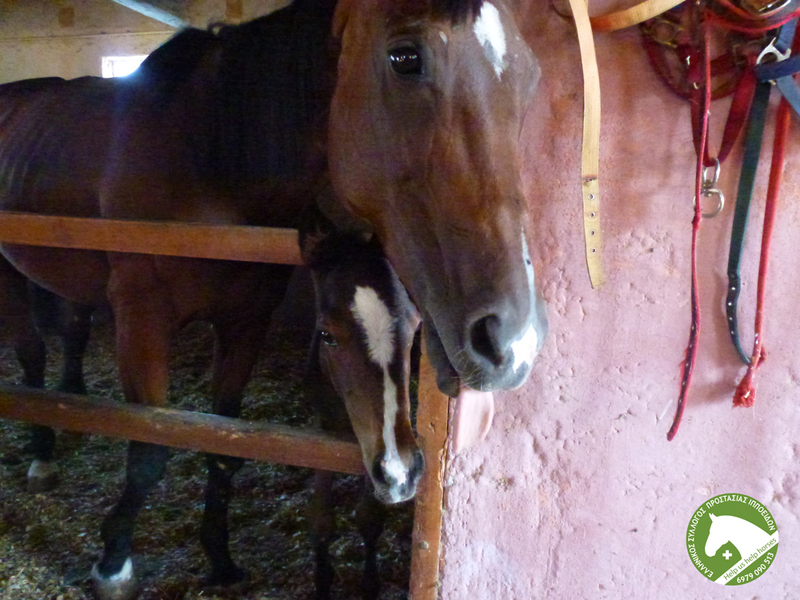 She still suffers from an extreme case of lymphangitis in her hind foot, but this does not prevent her from enjoying a peaceful and beautiful life together with our other mares. 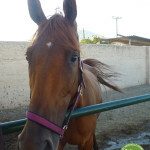 Theodora was a sweet race horse who suffered the cruelty of humans until the end of her athletic career. 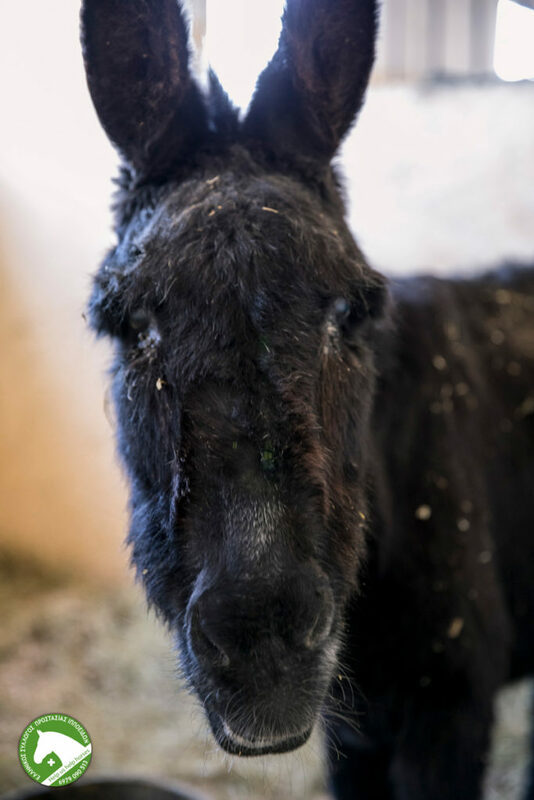 When she arrived at our shelter she was visibly battered, tired and scared. 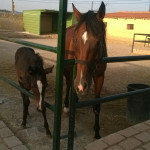 However, horses are animals that forgive easily when the environment is beneficial for them. 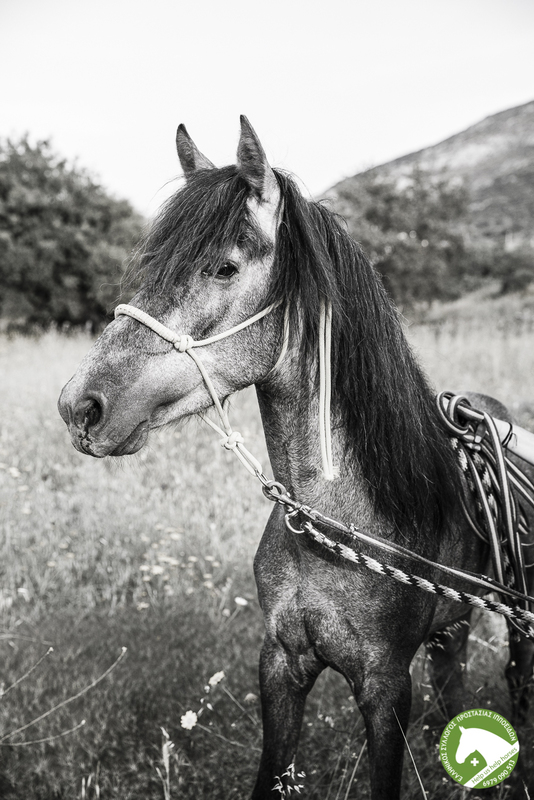 Theodora was a typical example of how a horse can completely change when someone treats them with courtesy and respect. 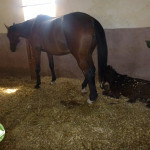 For her retirement she chose the company of Jerry and Stefi, who happily eat their hay together in our rear paddocks. 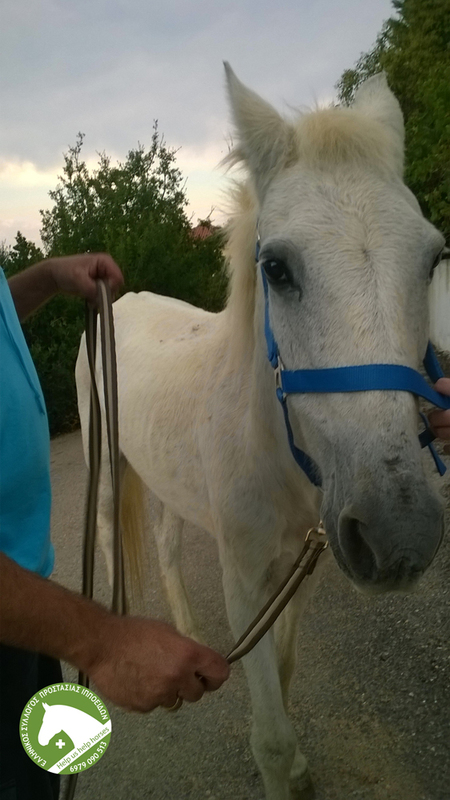 Leandros came to the shelter following reports of an abandoned horse by the residents of Kalamos. His old owner had passed away and he was wandering alone in the streets. Without a home, he spent many lonely months searching for a new owner, but in vain. Considerably frightened, he would only approach someone when they had something to give him to eat. 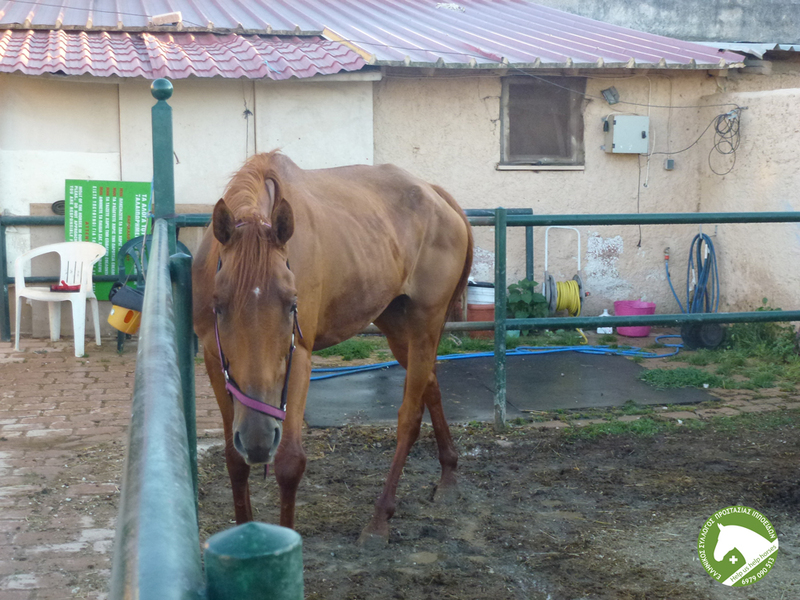 He is over thirty years old and missing his back teeth, which makes it harder for him to gain weight. 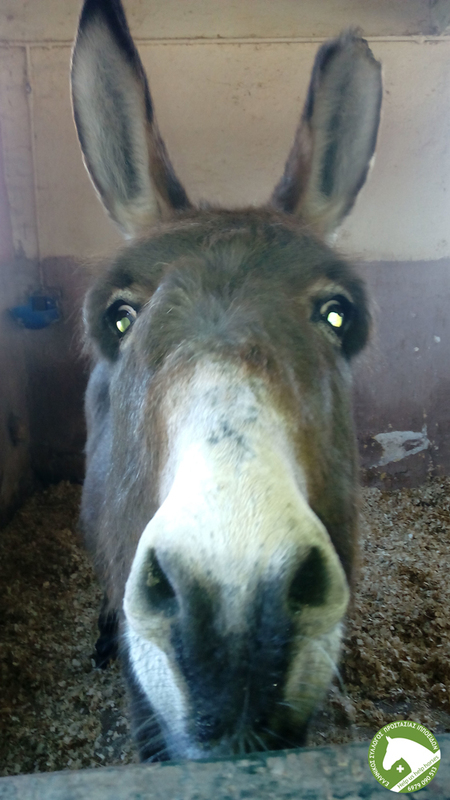 Despite all his problems he is far better now than the day we received him and enjoys the care of our volunteers, although not yet fully confident with humans. 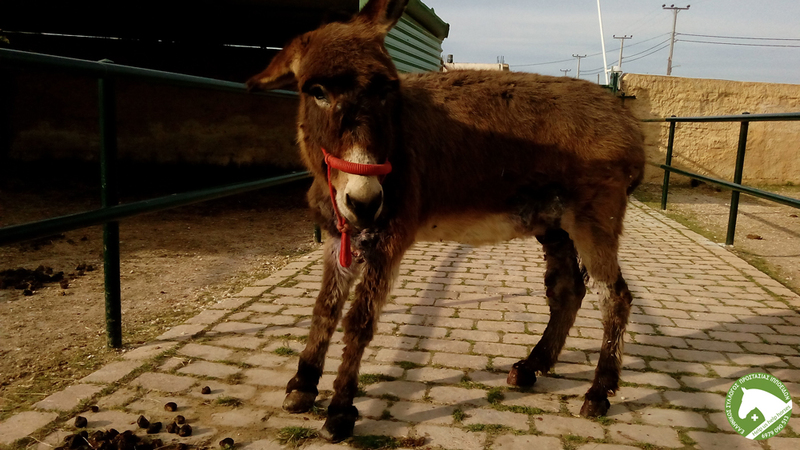 Nefeli had been astray for weeks looking for food in the rubbish when she was found collapsed with heavy colic symptoms in Porto Rafti. 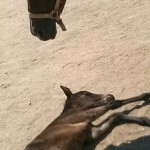 Our volunteers and vet were immediately mobilized providing her with first aid. 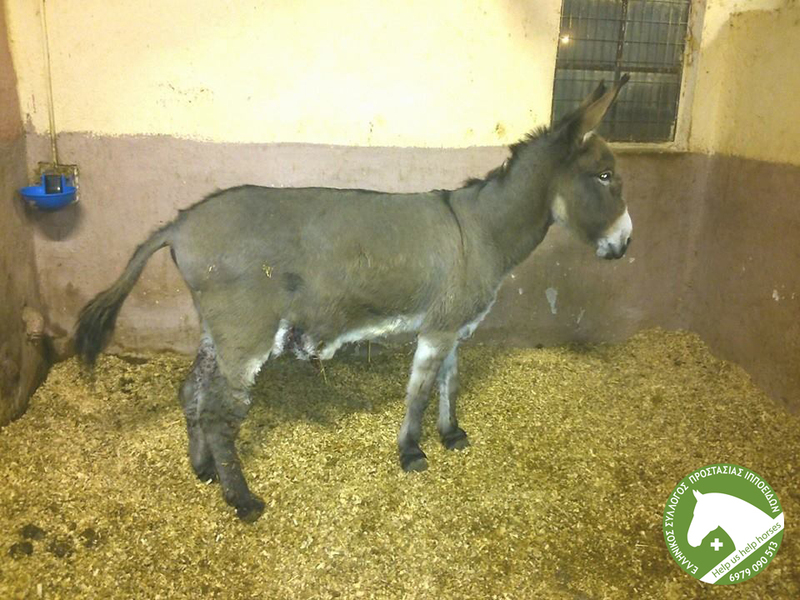 It was considered appropriate to transfer her to our facilities for monitoring and care. Her condition deteriorated by the hour reaching critical condition with no signs of improvement, at which point it was decided that surgery was necessary. A whole plastic bag was removed from her stomach. 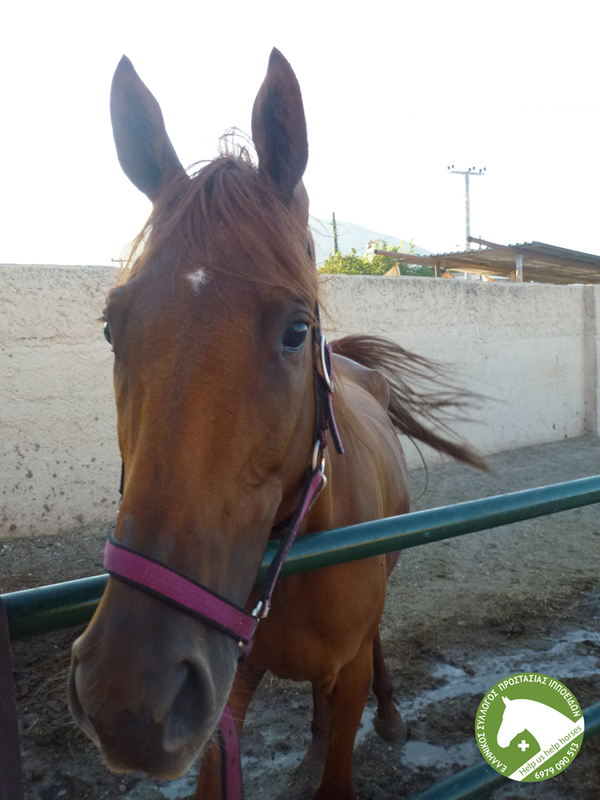 Nefeli was completely cured and now lives with a family who love her in Kyparissia. 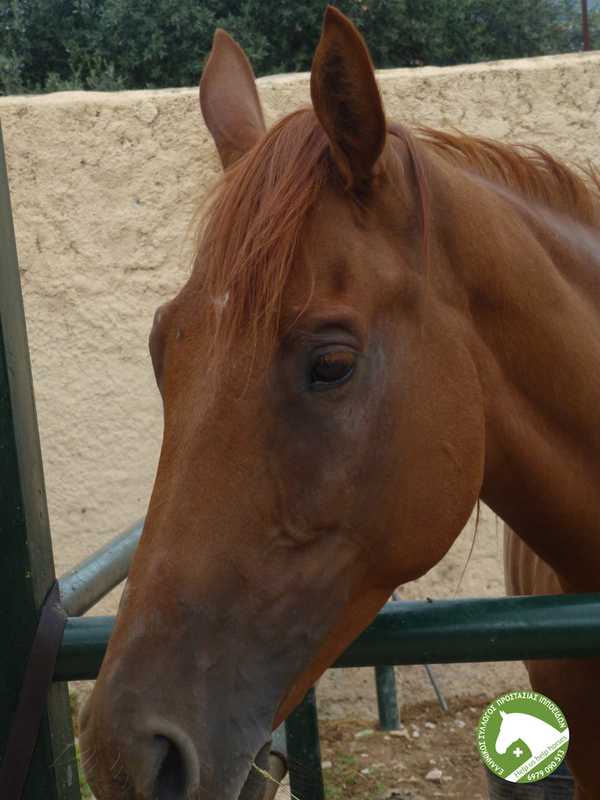 She is a Greek-bred mare with a unique character. 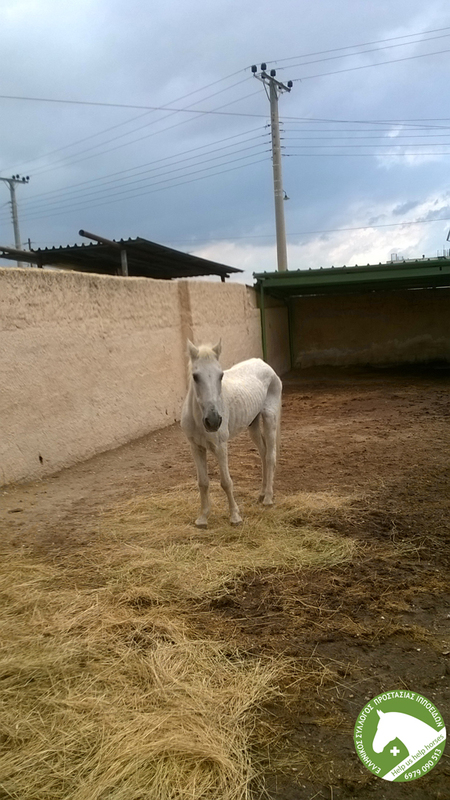 Martina moved to our premises from Karditsa with the help of local animal welfare associations. 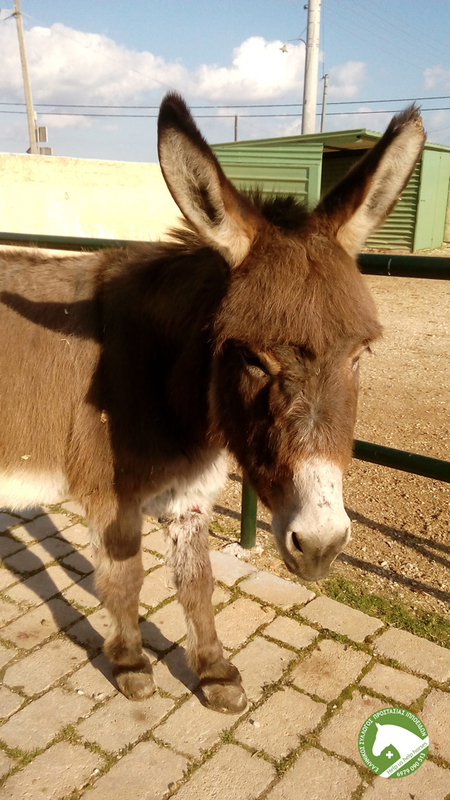 She is an amazing little donkey who stole the show as soon as she arrived at our shelter. 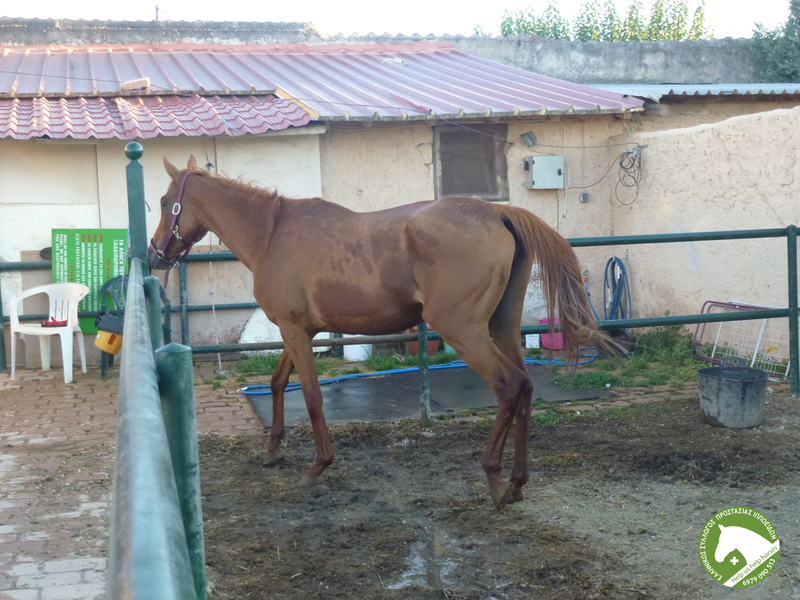 Unfortunately she was in a very way physically with wounds that all over her body from fibrosarcomas, and problems in her fore legs due to laminitis. 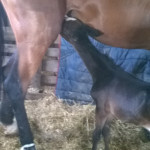 This pathology of the hoof is not treated easily and is usually created by inappropriate and erratic diet of the animal. Her recovery is ongoing and we wish the best for her. 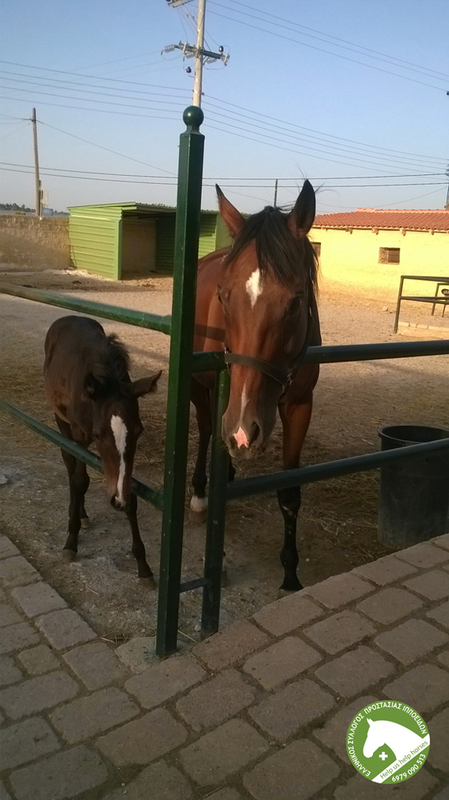 In April 2014 we received 7 of the 8 racing horses seized from their owners in Kalymnos with a final decision to remove them made by the deputy prosecutor of Kos, following the intervention of an animal rescue association from the region. 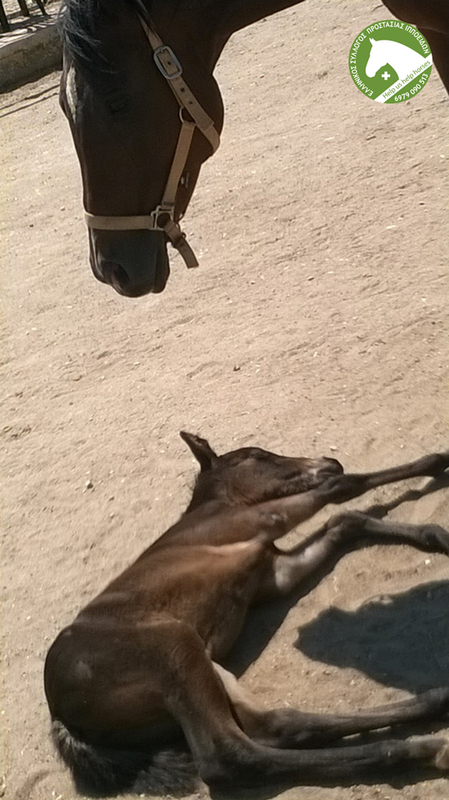 The animals were dehydrated, malnourished with abscesses on their nails and full of ticks. Majestic Lake was the weakest mare suffering terrible pain in her front legs, which prevented her from putting any weight on them. 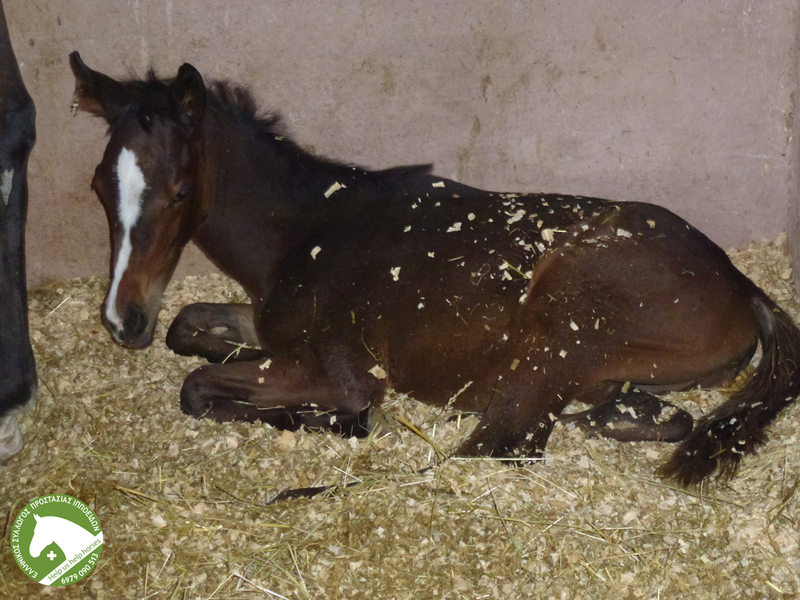 Besides the abscesses in her nails she also had advanced laminitis. Her recovery was painful and costly, but once again the result vindicated us. 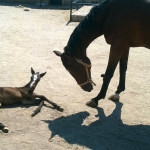 She has now been adopted by people who know how to care and to truly love her. 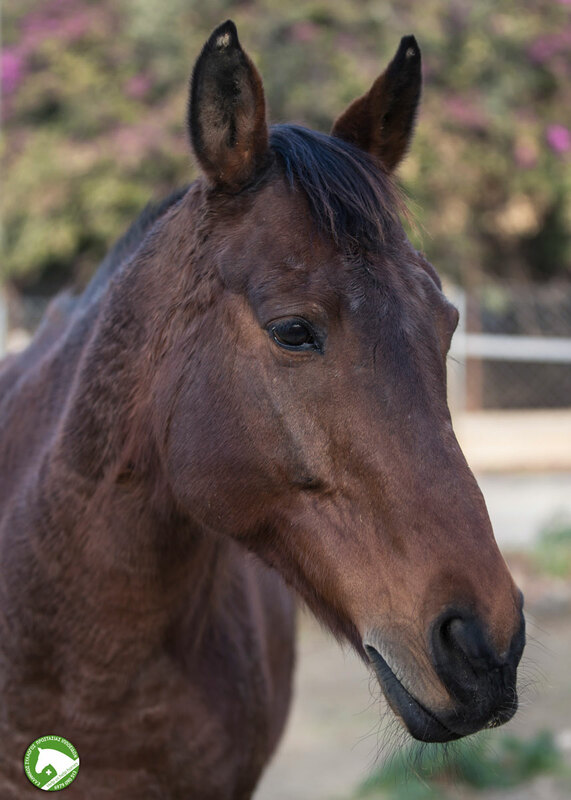 Majestic was the only mare who we really were not sure would survive, but her desire for life was stronger than the initial, pessimistic prognosis. 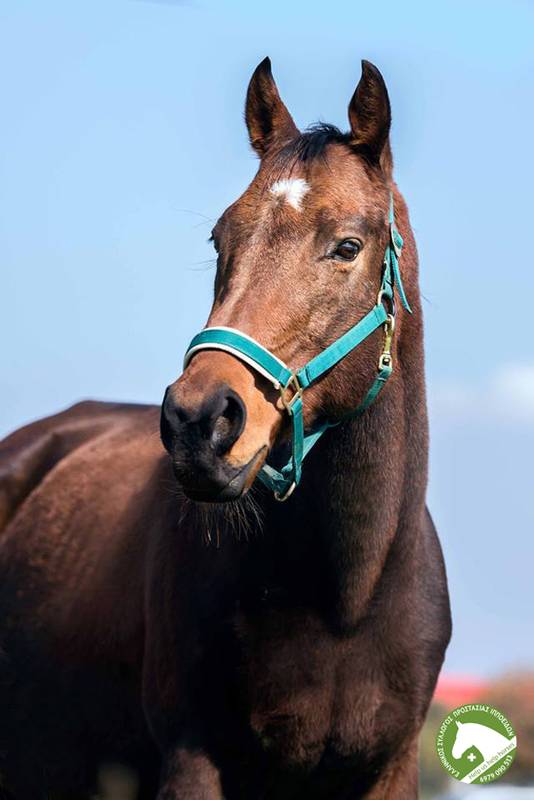 Dash had been a riding horse for several years who unfortunately, at 26 years of age, ended up with an owner who did not have the financial means to sustain him. He had become a four-legged skeleton as his owners had not even realized that he no longer had any teeth and could not eat. He has a serious problem with his breathing and often suffers asthma attacks. After two years at our shelter he was adopted and lives in a beautiful environment where he will spend the rest of his life having everything an animal needs, that is, love and care. 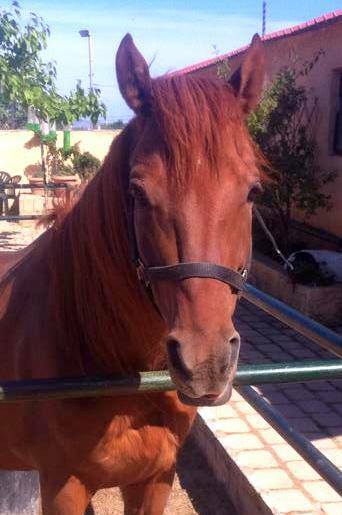 Talos was purchased and donated to our shelter by an animal lover just to stop him from working and being stressed. 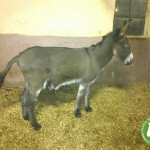 At eighteen years of age he has now been adopted in order to live the remaining years of his life free of troubles and burdens because all animals have the right to a pension. 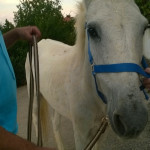 Boss was found astray and malnourished on a provincial road in Kalyvia of Thorikou. At just 8 years of age he had already experienced abuse by humans. 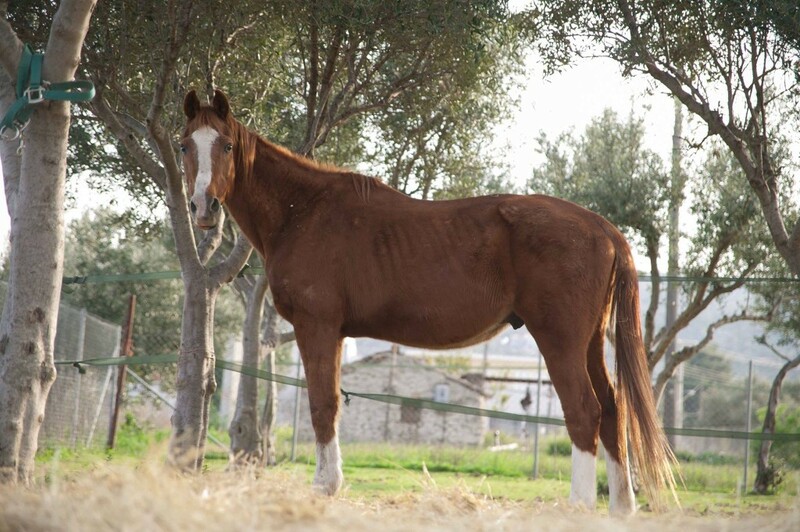 Left without food or water, he was so weak that all his bones could clearly be distinguished.. Two weeks he was seized he was found locked in a corral. As soon as his owner noticed us he hid the animal. 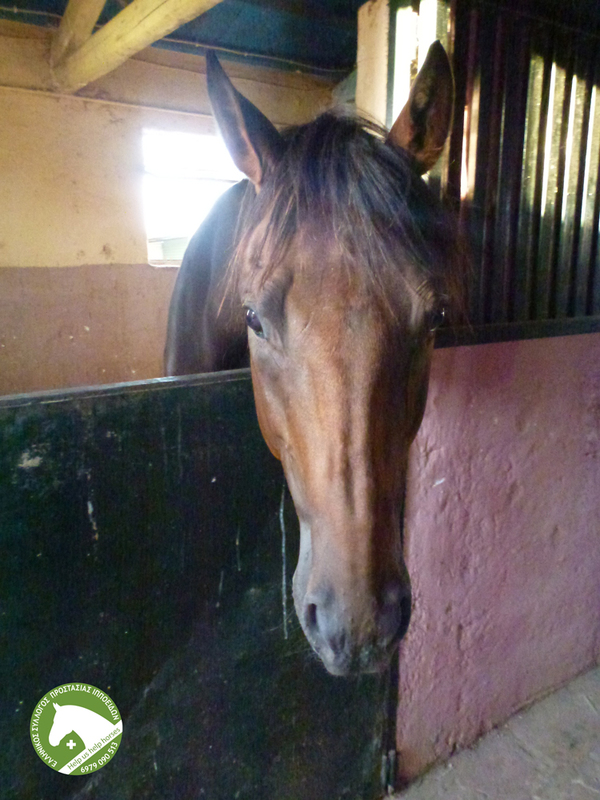 After some effort he was seized, reintegrated and today enjoys good health, living happily and relaxed in his new home taking walks with children. 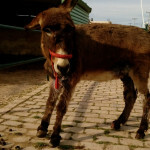 Marianna is one of the seven animals from Kalymnos. 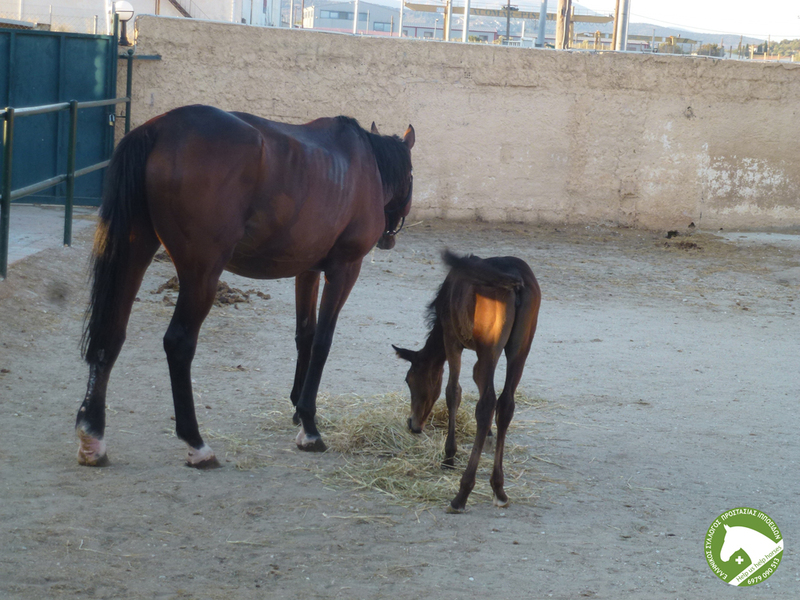 The mare arrived at our shelter malnourished and overworked with six other animals. Obviously weak and full of ticks she had not even shed her winter coat. 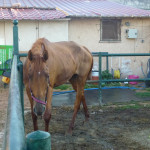 She was the saddest mare who took slow and painful steps due to the wounds on her legs. 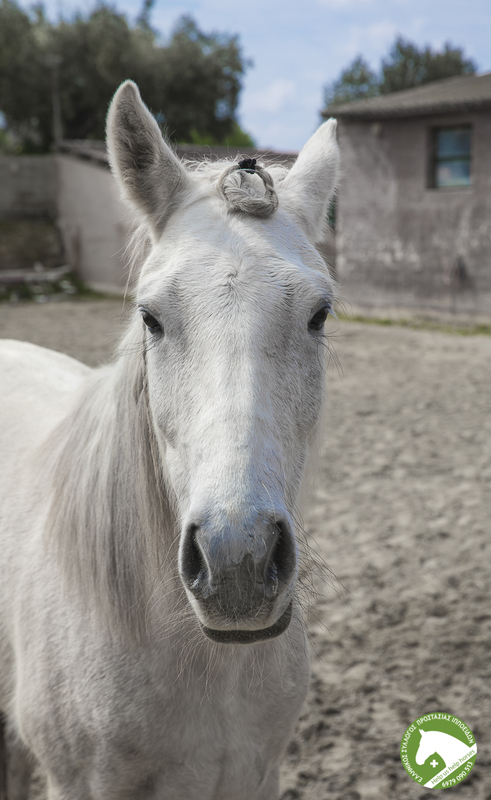 Her daily treatment lasted four months and included necessary orthopedic shoeing to return her hooves to their original condition. 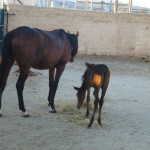 She is now healthy and in good weight.